Welcome to Karay Metals. This is where quality matters most. We are a leading provider in metal products, formed from aluminum, steel, copper, and brass, and we want to tell you more about the amazing facts about brass and brass profiles that we have in store for you, starting from shapes, angles, channels, tees, to half rounds. We are proud to offer high-quality brass products to our clients. 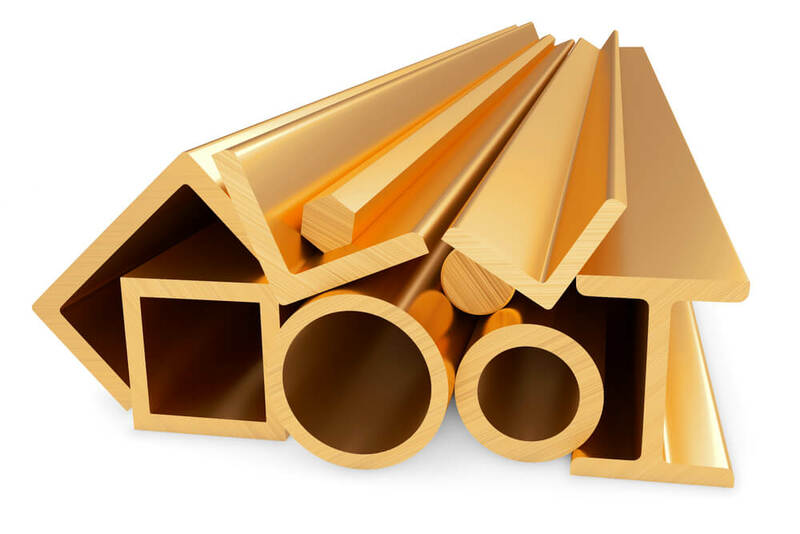 Brass Profiles- Extrusions, Tees, Channels, and more. During production, brass is subject to constant evaluation and control of the materials and processes used to form a specific brass stock. The chemical compositions of the raw materials are checked and adjusted before melting. The heating and cooling times and temperatures are specified and monitored. The thickness of the sheet and strip are measured at each step. Samples of the finished product are tested for hardness, strength, dimensions, and other factors to ensure they meet the required specifications. Brass sheets are commonly used for door hardware, tooling, furniture, nuts, gears and small hardware. Moreover, its variation in alloy offers a strong, wear resistant and highly weldable ability. One of our brass profiles is the brass angle, which is most commonly used in decorative application such as handrails, ornamental trim, and hardware. It has excellent formability when heated. It is not heat treatable and can be brazed and soldered. From the onset, our mantra has been, “The last thing you do is the first thing the customer sees. Make it right.” With every addition to our business we’ve made, from improving our products to growing our team, we apply this customer-obsessed focus. Thanks to the loyalty of the creative and industrious businesses and individuals that make up our universe of customers, our business has continued to grow like mad. Providing high quality materials, with flexible minimums, to the diverse range of customers who find our online shop is the only reason we’re here. Over the years we’ve been lucky to work with individuals from all sorts of businesses. At Karay Metals, we produce exceptional brass profiles that can withstand the test of time and strong usage. We produce durable and long lasting brass profiles for our clients. Moreover, we can fulfill your long-term needs at prices that will give you the competitive edge. Karay Metals also produces brass rods, copper coil, fabricated steel, and much more. All we need is the specifications and amounts to deliver high-quality materials and products.